John with a couple of nice Pluto Platters. 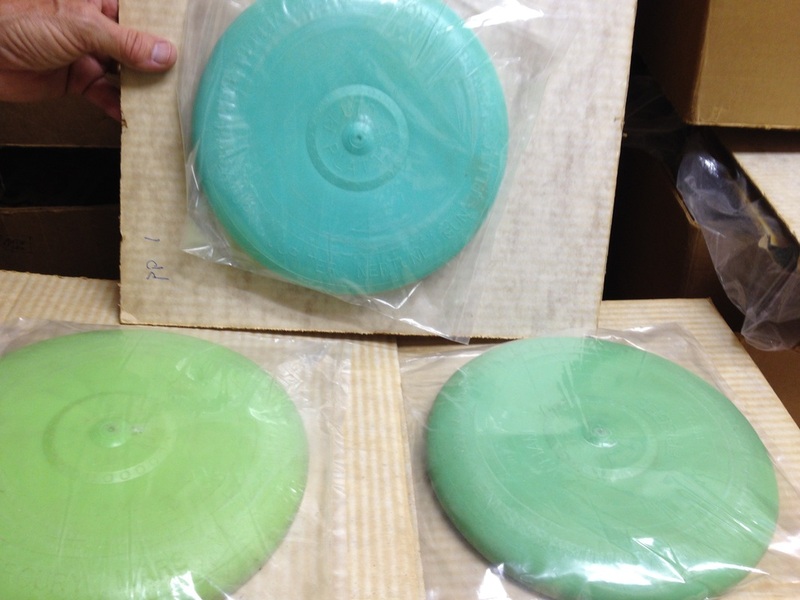 unusual green color variations on Wham-o Pluto Platter. I do not have a Pluto with a header card like this one, JK collection. 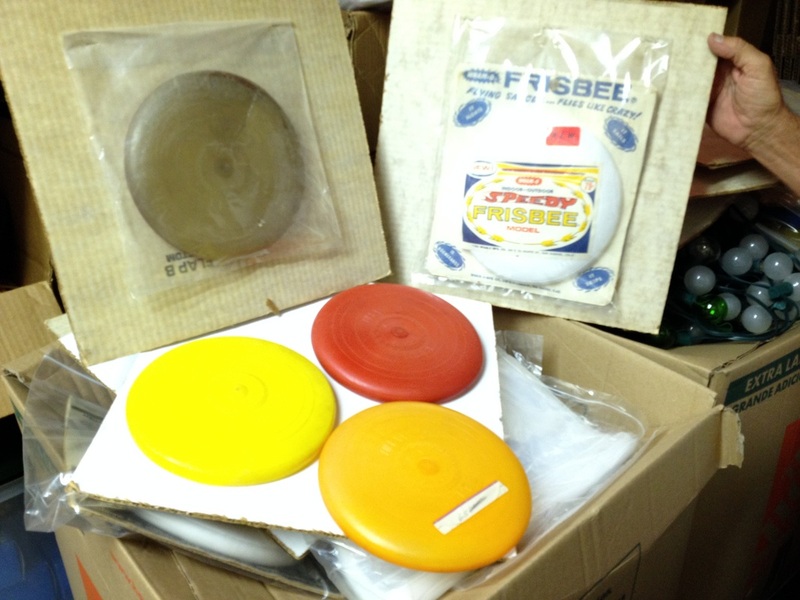 The below red disc is a large size Knickerbocker, I had only seen a small one, JK collection. Stitch and Toss, John Kirkland collection. John says this is a one of a kind with the combo of the label and the slip card. 50 mold John Kirkland collection. 50 mold, John Kirkland collection. Not sure on a date on this Whirl-It but John thinks from the 50s, note the stick in the package. 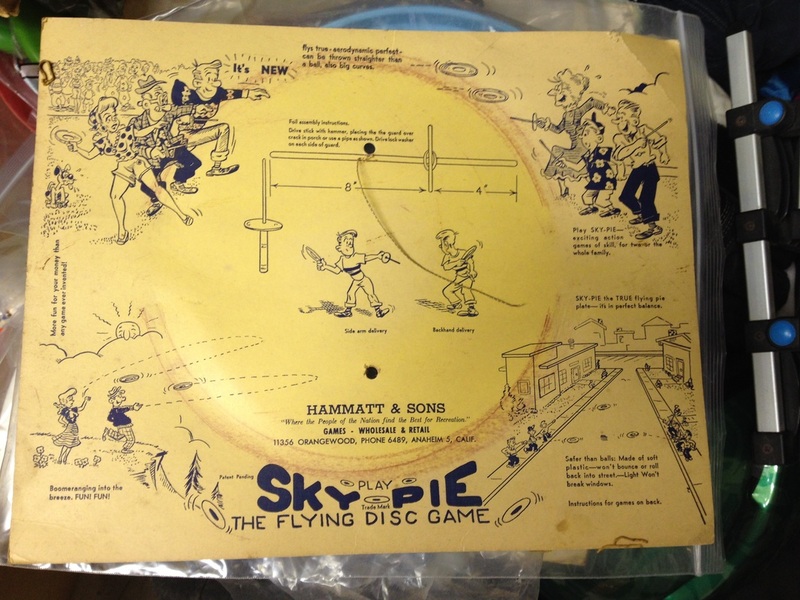 Packaging from the Sky Pie, John Kirkland collection. 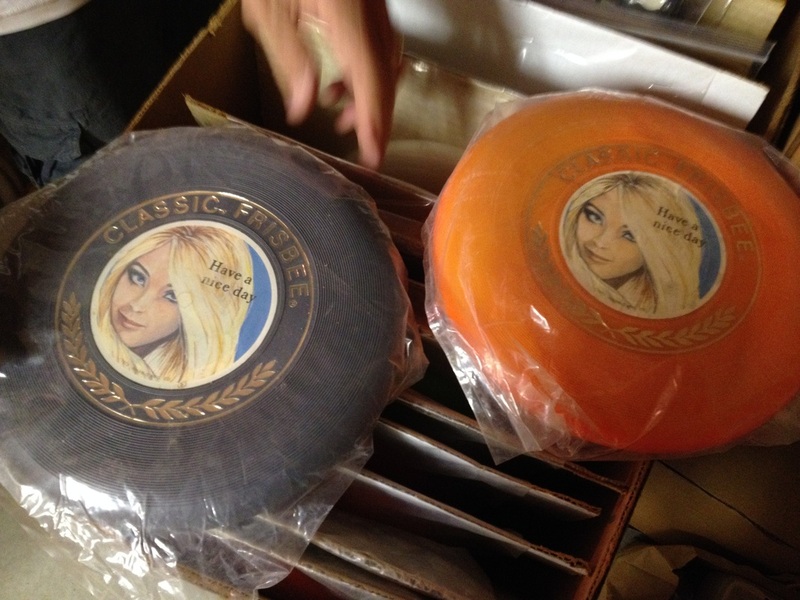 Very nice, I just have 1 in the package , John Kirkland collection. 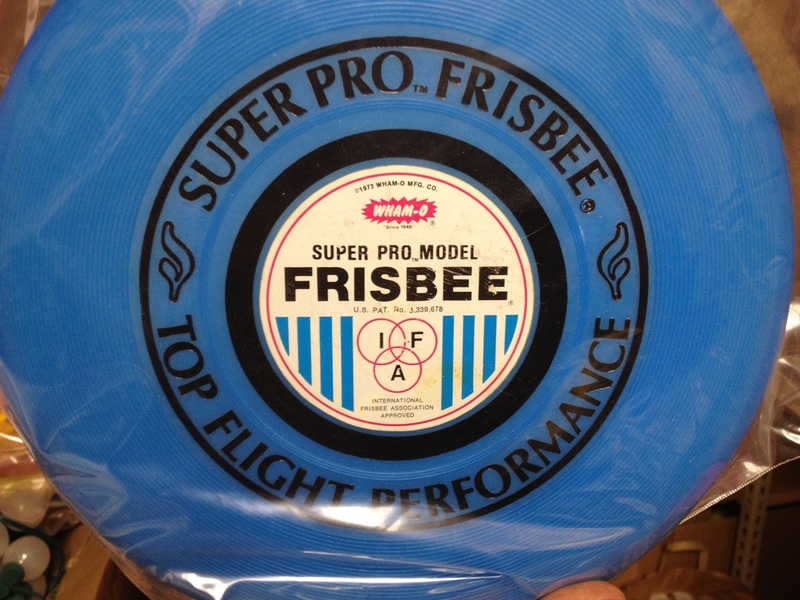 These are a very hard to find disc, I had been calling them a Speedy because I have a white one, these colored discs say Flying Saucer but are smaller than the Regular Flying Saucer. 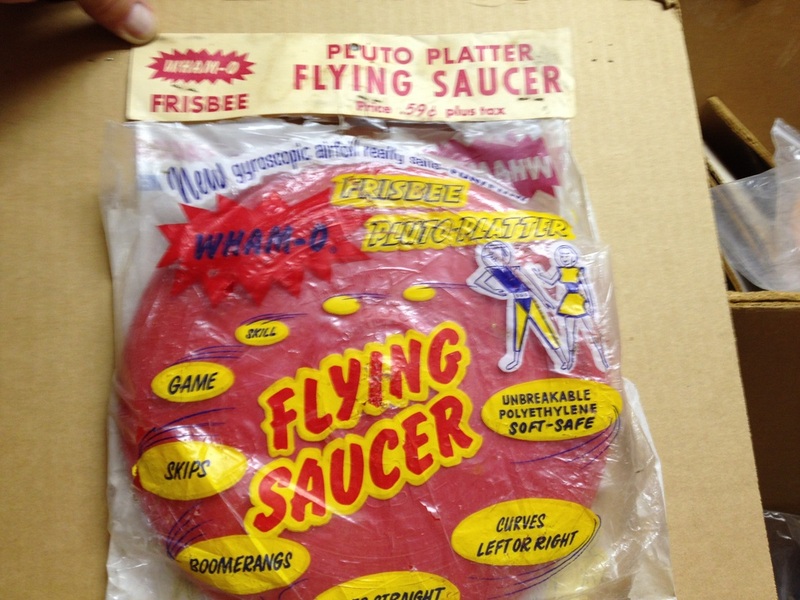 Phil Kennedy calls them a Flying Saucer Jr. 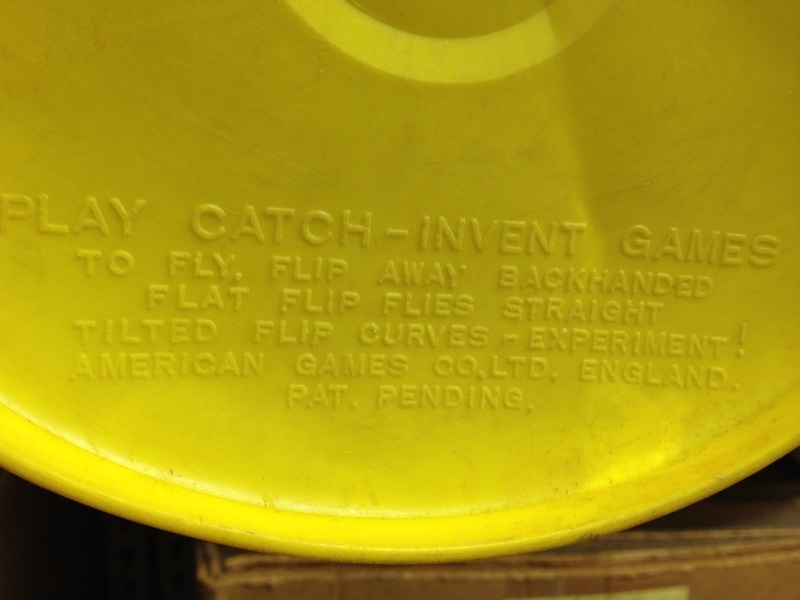 Here the yellow is different it has script on the underside that says it was made in the UK. John got this from Spud Melvin. Underside of above yellow disc.